In Preno you can download the guest data (incl. emails) to help with marketing. 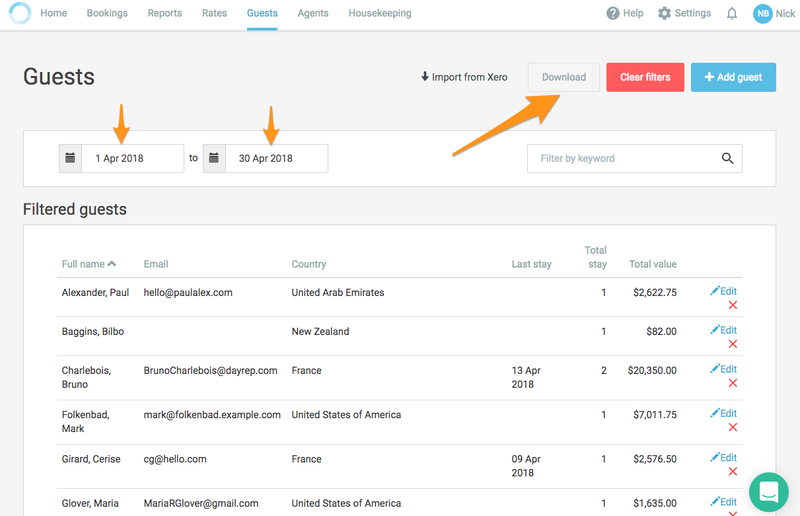 You can import this data into email marketing tools like MailChimp, and start sending relevant newsletters to your guests. Make sure that you get explicit permission from your guests to do this!